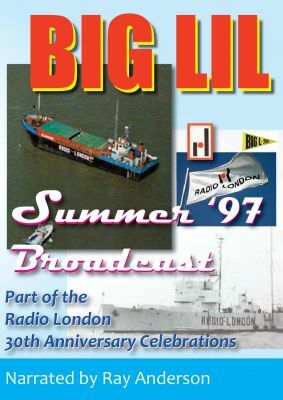 Highlights from the Radio London 30th Anniversary summer broadcast from the m.v. Yeoman Rose off the coast of Walton-on-the-Naze. Just what does happen when all these guys meet again after 30 years? Heralded as one of the best RSL's of all time this video shows happenings on board with Chris Baird, Tom Collins, Ray Anderson and original Big L deejays Pete Brady, Dave Cash, Ed Stewart, Tony Brandon, Keith Skues, Duncan Johnson, Mark Roman, John Edward, Tommy Vance plus some of the original management team from Texas - programme director Ben Toney, and co-founder Tom Danaher and sixties recording star Keith West. Narrated by Ray Anderson. Now Available.